This braided beauty features gorgeous hand-etched scalloped brass discs, and four braided leather straps gathered by brass clips. The buckle is the star of the show, a beautifully ornate and intricate work of art on its own! 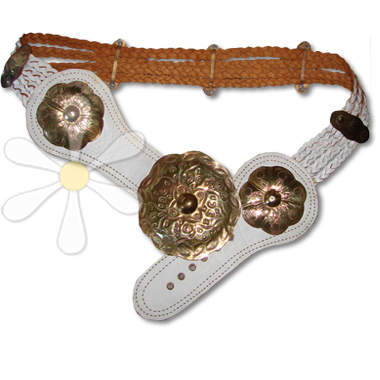 This fabulous belt is a staple for all of your tribal outfits, a must-have for every SUSTI GODDESS.